Many organizations are discovering that traditional storage methods can be the bottleneck that slows their agility and scalability. This has led to the development of containers, built to permit applications to scale rapidly, be more reliable, and offer better performance than more conventional means or methods. 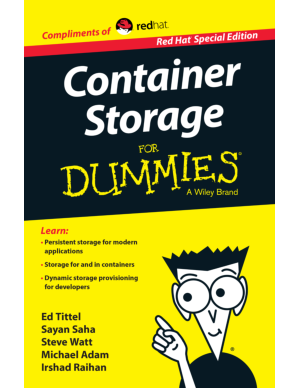 Read the e-book to learn how container-native storage is the key to your organization running more efficiently and cost?effectively.